The Three “Good C’s” and the Three “Bad C’s” – Allman Professional Consulting, Inc.
What facilitates good teamwork? What destroys it? That’s the topic for this article: characteristics and behavior that build up or tear down teamwork and communications. Although calling them “good C’s” and “bad C’s” sounds like a gimmick or a marketing phrase, it isn’t. Classifying these characteristics and behavior this way drives home the main point. Why is this important? Because it’s much easier to tear down teamwork than it is to build it up. We need to be mindful of everything we do and say. For every instance of something that erodes teamwork we need to have many positively reinforcing events. It’s the same with relationships in general: it’s a lot of work to build and maintain a good relationship but it only takes a few misinterpreted comments to ruin a relationship. We all know how important good communications skills are. 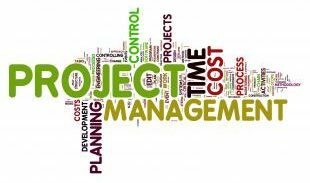 They are critical to project managers. Team members must communicate to keep everybody informed about how things are going, any issues found and how they were resolved, schedule and related issues, ideas to improve what we’re delivering, and on and on. A cornerstone of teamwork is working collaboratively. When team members go off and “do their own thing” the sense of common purpose and team effort is diminished. A successful project is not simply a collection of individual efforts. It’s the blended collection of efforts all sharing a common goal. Another cornerstone of effective teamwork is cooperation. On any successful project there must be a give-and-take, a blending of ideas and efforts, and a willingness to accept that “my idea” may not be the one we pick. Team member must also understand that when they propose an idea it no longer is “their idea.” If it’s adopted then it’s the team’s idea. Check your ego at the door. How many times has something happened where you want to jump up and say “But that wasn’t my fault! ?” It’s a natural reaction and we’ve all experienced it. The next step in the thought process is to find where the fault lies. To point out the fault and shift the blame almost always involves using one of the three “bad C’s.” Instead, continuing with this example, we should search for the root “what” cause and avoid the “who” as much as possible. Fact: Every Organization Has Both! What I’ve found in my years of consulting is that, unfortunately, there are people who are primarily negative and that no “technique,” self-improvement process, or motivational program will change them. They are the way they are, and that’s it. If their contribution outweighs their detraction then they’re worth keeping. There are ways to minimize the impact of negativity on an organization, but that’s a topic for another article (at least one!). Change starts at the top. The leaders of an organization are where change starts. Recognize that often times the change isn’t something that can be “imposed” or decreed. Change must be observed. Remember the critical saying “Do as I say, not as I do?” The leadership (executives, managers, leads, etc.) of an organization sets the example. We can’t expect others to avoid the three “bad C’s” if we don’t. As project managers we can set the ground rules for how we conduct projects. Also, recognize that change is gradual. Think of it like maneuvering an oil supertanker. Any change in direction or speed is gradual. You can’t stop a supertanker on a dime. We all would like to follow the three “good C’s” and avoid the three “bad C’s.” It’s a habit, like all habits, that takes time to develop. Keeping them in mind eventually will become second-nature, and the positive influence of our example will help steer our “supertanker” organization in a positive direction.